Non-beta testers won't have to wait long either. iOS 10 beta users can now explore a whole new world of add-ons for iMessage, according to 9to5mac. 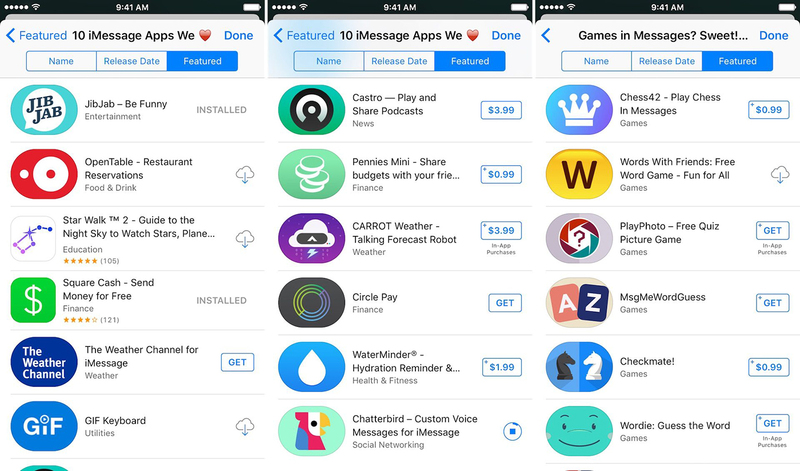 Cupertino has launched its new iMessage App Store for iOS 10 beta, and you can use it to download games and apps like OpenTable and SquareMoney. You can also download sticker packs from the store -- hey, it won't be complete without cute stickers in the mix -- some of which come from big-name companies like Disney, Bandai Namco and Sanrio. Some of the apps are tied to ones you'll have to get from the main App Store, but others are completely independent. If you're not a beta tester, don't worry: check your Settings app's Update section tomorrow, September 13th, to download and install iOS 10.